Soundgarden have unveiled a new video for their single 'By Crooked Steps', and it's been directed by Dave Grohl. The video sees the band portrayed as a gang called the Crooked Steps as they make their way around the streets of LA, dismissing dance DJs and putting on rollicking rock shows. Rather than motorbikes, though, the leather clad group are mounted on segways, and are continually pursued by a cop played by Deadmau5 (who catches them in the end). 'By Crooked Steps' is the second single taken from the group's comeback album King Animal, which was released last November. Grohl apparently approached the band with his idea, which was a winner from the start with the group. "I had an idea," Grohl explains in a behind the scenes clip. "I got a copy of the record and the third song 'By Crooked Steps' was a signature, instantly recognisable Soundgarden song." "Dave had the idea perfectly set up," admits Soundgarden's Ben Shepherd, "start to finish, right on." "We were really surprised he found a sort of comedic element in this song becuase it's a kind of heavy serious kind of hard rock song," adds drummer Matt Cameron. King Animal was released last November and has received largely positive reviews from critics and fans. But some might be slightly surprised that Grohl has managed to find time to direct the video. Between making a documentary about Sound City Studios, forming a supergroup to provide the soundtrack for said documentary, returning to drum with Queens Of The Stone Age, oh, and knocking up a drum track from metallers Ghost's cover of ABBA's 'I'm A Marionette', you might think Grohl's schedule would be pretty full. 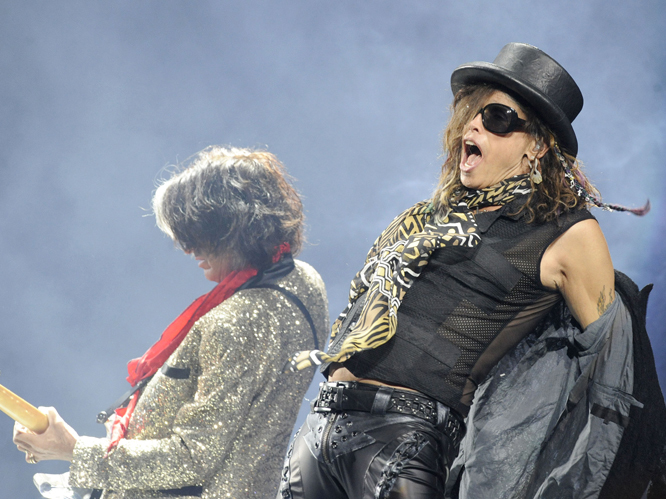 Aerosmith: It''s hard to trust Steven Tyler''s ''noble intentions'' when he rides the publicity wave of American Idol just long enough to be hugely famous across America once again, quits, and then announces that his band will be releasing their first album in eight years. No Doubt: Was anyone really pining for the nineties band to make a comeback? 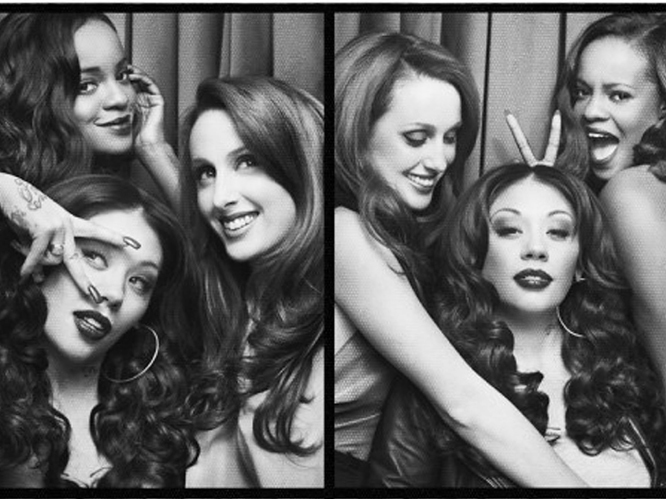 Gwen Stefani''s solo career started well but spluttered and stalled towards the end and none of the other band members were going to do it on their own, so ultimately they had to get back together, right? Stone Roses: Here at the Gigwise offices, a debate has broken out over whether Ian Brown and co. are reforming for musical reasons, or for the guaranteed cash. Yes, they''re recording new material, but are they just doing it because they know if they make a new album, it will sell millions? 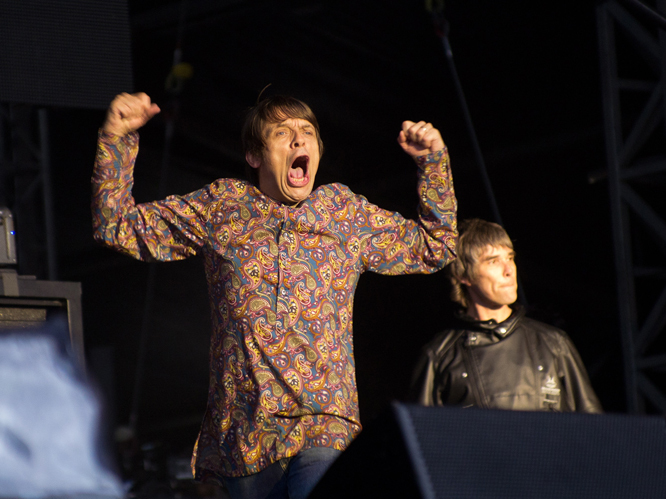 The band pulled in £23 million at their Heaton Park gigs, so why wouldn''t they do it again? Happy Mondays: According to Shaun Ryder, after being ''inspired'' by the Stone Roses (huge financial gains...), getting his band back together was a ''no-brainer''. 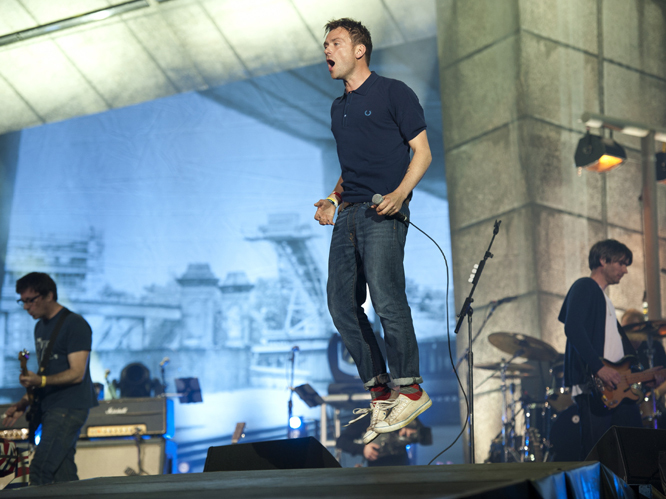 Amazingly, the voice of reason was maraca man and on-stage fidgeter Bez, who said of his choice not to perform with the band, "sometimes you have to hang your boots up gracefully". 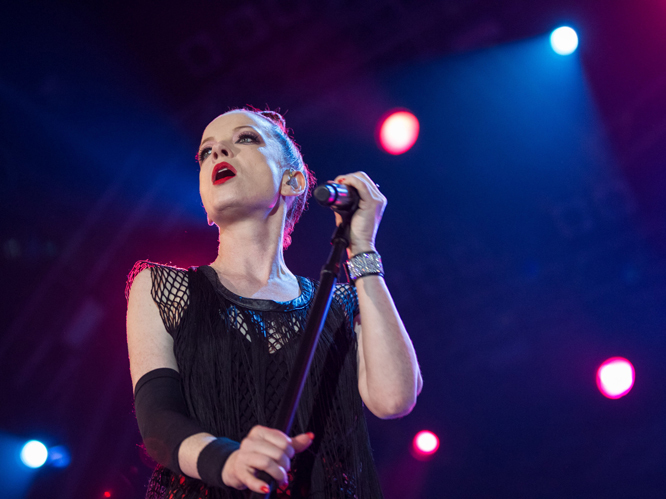 Garbage: In a recent interview, Shirley Manson claimed that it was alienation form their former label Geffen that caused the band''s seven year hiatus. Their new album comes at a time when guitar music is struggling, so if the band were hoping that ''Not Your Kind of People'' would sell in its millions, they were sadly mistaken. 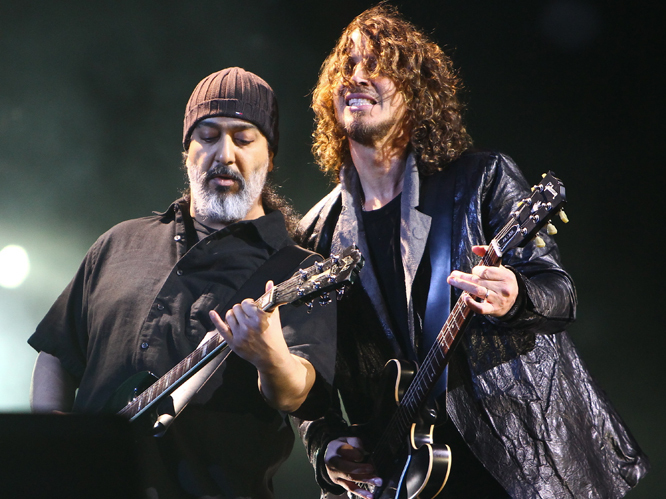 Soundgarden: Billy Corgan claims that bands such as Chris Cornell and the boys have only reformed to in order to make money from gig ticket sales, and that it''s immoral to start performing again without recording new music. It''s good that Soundgarden are releasing a new album in October then isn''t it Billy? 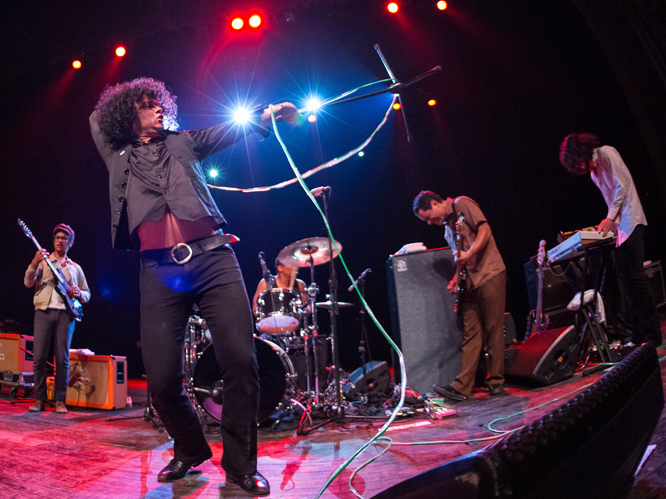 At The Drive In: The band said the few gigs they''ll be playing over the summer were organised to make money and there''s no intention to record new material. Well at least their honest about it.